A guide to dealing with coursework in any subject from Year 9 to Year 13. Template-type worksheets and a working example steer students through their coursework project. The templates offer step-by-step work planning; document handling; data collection; describing and categorising information; presenting results; editing and refining the final draft for submission. 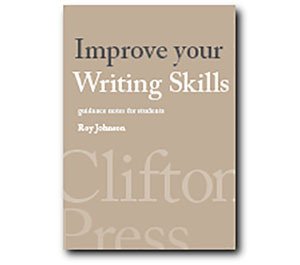 Printable pages allow the book to be used many times over – and for different subjects. Suitable for independent study, or for classroom groups. Mantex Information Design provides students, teachers, small startup companies, and individual users with services to improve your writing and study skills. We will also keep you abreast with what’s available in the cultural and digital world. We support the Open Source movement, and actively promote free software for our clients.